Mine Your Manners: Miney Christmas! 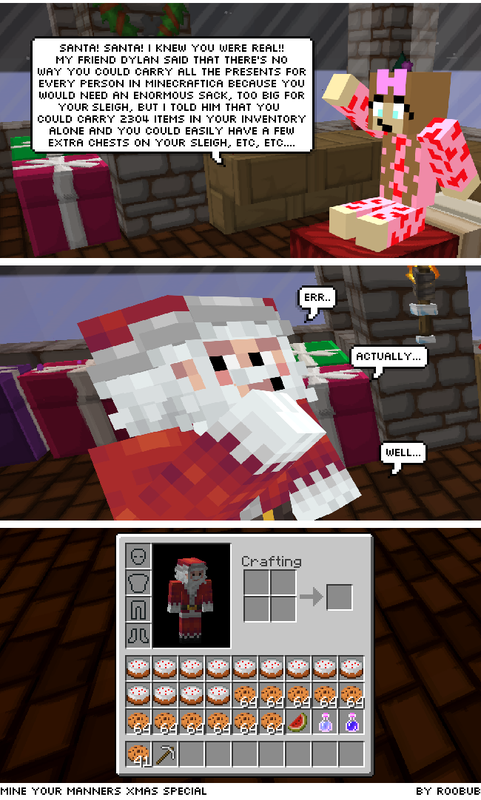 Santa was dressed by Minecraftskins. Girls room was filmed on location at bdcraft. Yea, he has to be on creative so he can fly.... or something... Actually, it was late. I should probably go back and fix that. Thanks.